When it comes to architecture, like in all forms of art, there is no unified opinion on how it’s supposed to look like. Every architect follows its own path – and that’s what makes them and the buildings they design unique. However, there sometimes emerge people, whose unique talent is impossible to compare to anyone else’s. And one of those people is Frank Gehry. Bored Panda has compiled a list of some of this architect’s most iconic designs and his rule-defying buildings will leave you mesmerized. Check them out in the gallery below! 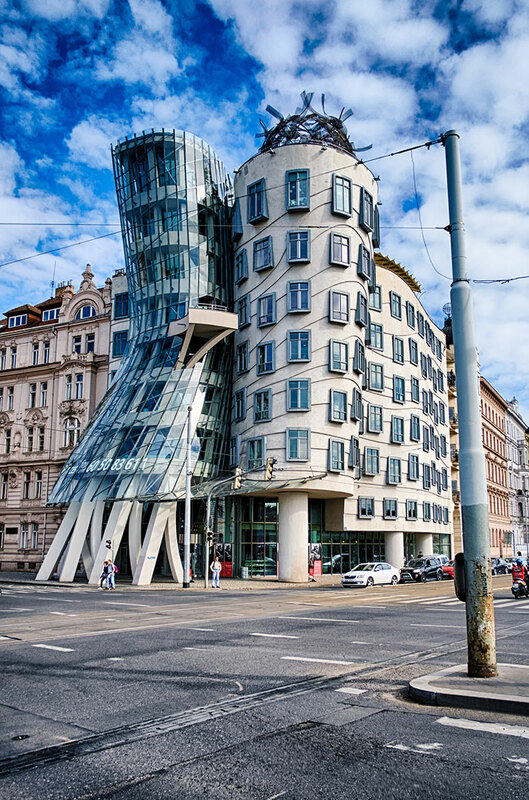 Perhaps one of the most iconic and controversial buildings designed by this artist is the Dancing House, or Fred and Ginger, in Prague, Czech Republic. Although at first it was criticized for not fitting in with the classical buildings surrounding it, the Dancing House has now become somewhat of an icon and is even featured on a gold 2,000 Czech koruna coin. 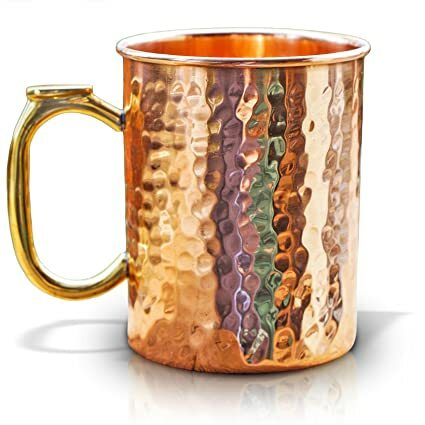 Although the building slightly resembles a Moscow Mule mug, it was actually inspired by the energetic rock music and the architect says he even used guitar pieces to create the form. 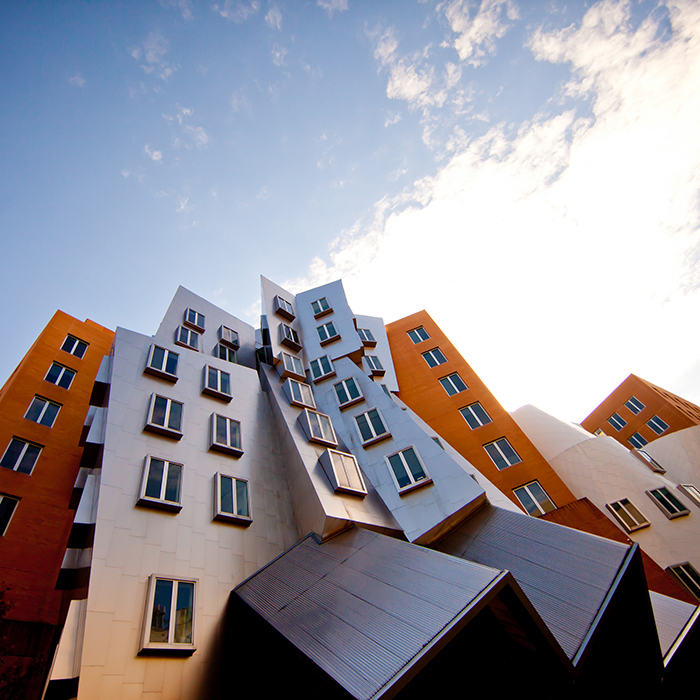 The Stata Center, or The Ray and Maria Stata Center for Computer, Information and Intelligence Sciences, was built in 2004 for the Massachusetts Institute of Technology, replacing an old building called simply “Building 20”. 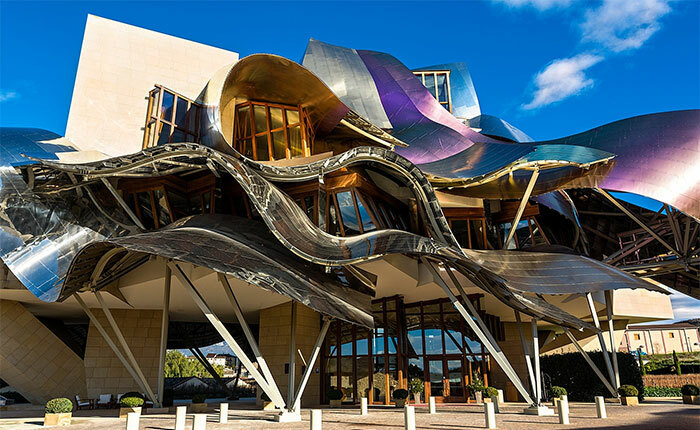 The Marqués De Riscal Hotel is an extravagant and lavish building located in the small Spanish town of Elciego. It is truly an unexpected sight when visiting, especially since it’s surrounded by fields and small homes. 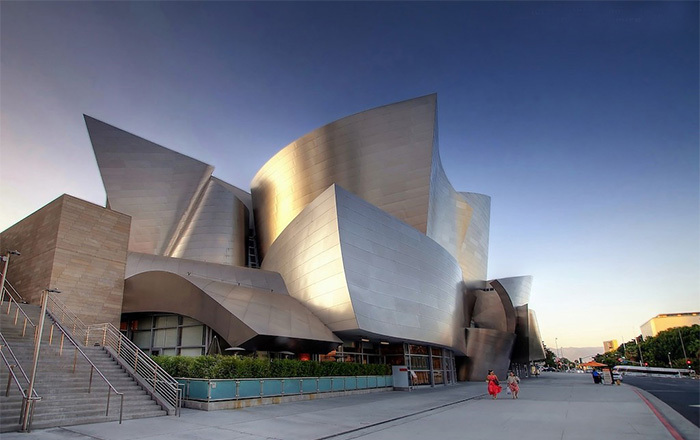 This stunning concert hall (inspired by wind, according to Gehry) was finished back in 2003 after a whopping 15 years of building and cost $274 million. 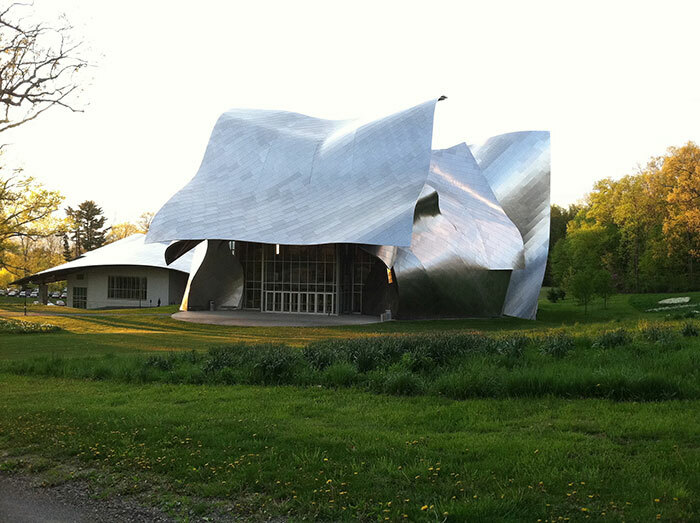 However, both local residents and critics agree that it was worth it – the building is a real icon of modern architecture. 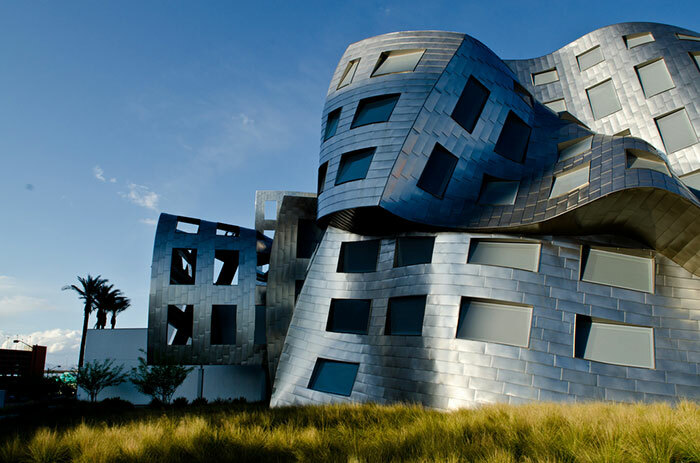 The Lou Ruvo Center for Brain Health was finished in 2010 and was commissioned by a businessman of the same name, whose father died of Alzheimer’s disease. 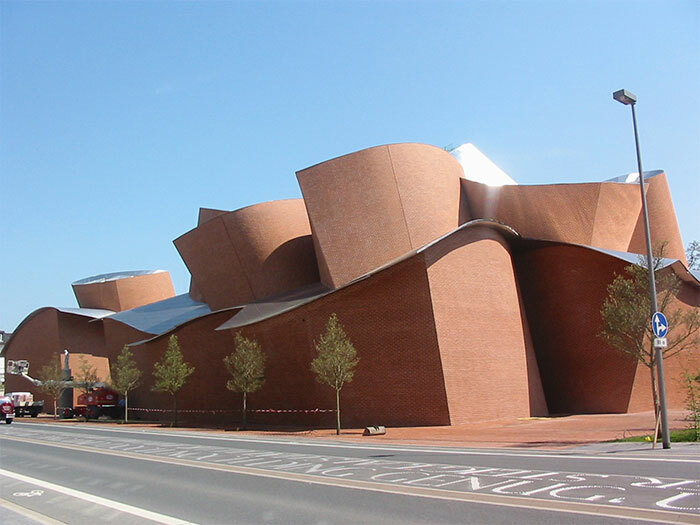 The Vitra Design Museum was not only Frank Gehry’s first project in Europe but also the first one where he used curved forms. 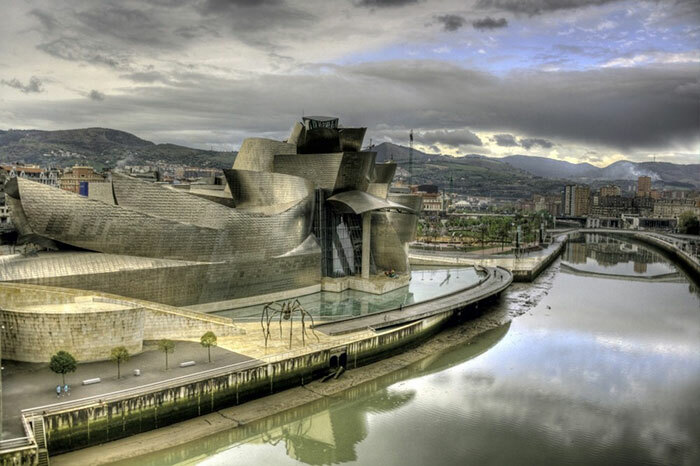 This museum of modern and contemporary art built in Bilbao is said to have brought the city back to life – in the first year, it attracted many tourists to the city, generating a $160 million profit. This phenomenon was even given a name – the Bilbao Effect. 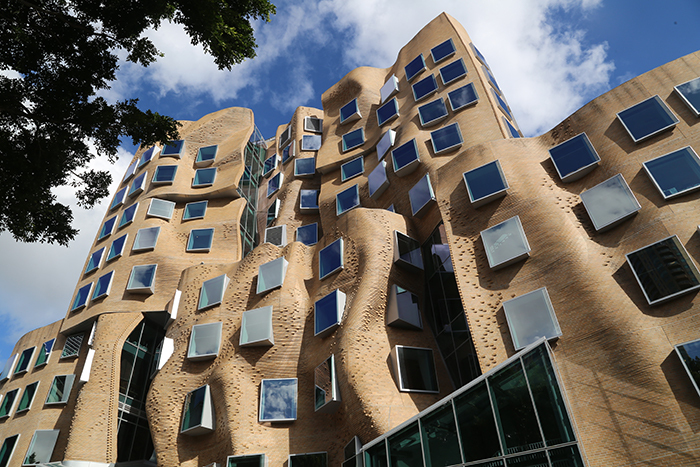 This building finished in 2015 was Gehry’s first project in Australia. Over 300,000 custom-made bricks were used in the construction of the building. The Biomuseo was the architect’s first project in Latin America. It was commissioned by Panamanian politicians in order to create another Bilbao Effect. 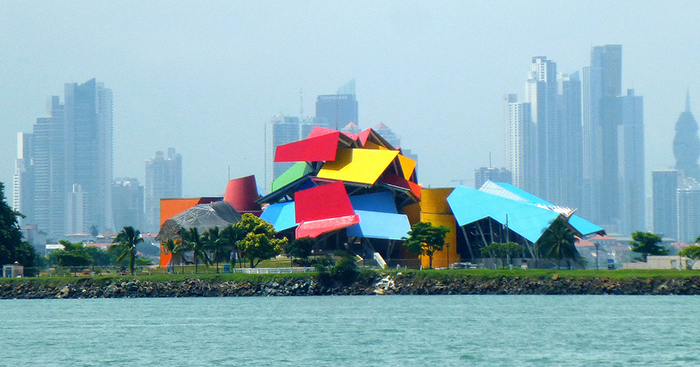 The bright colors are said to represent the rich nature of Panama. 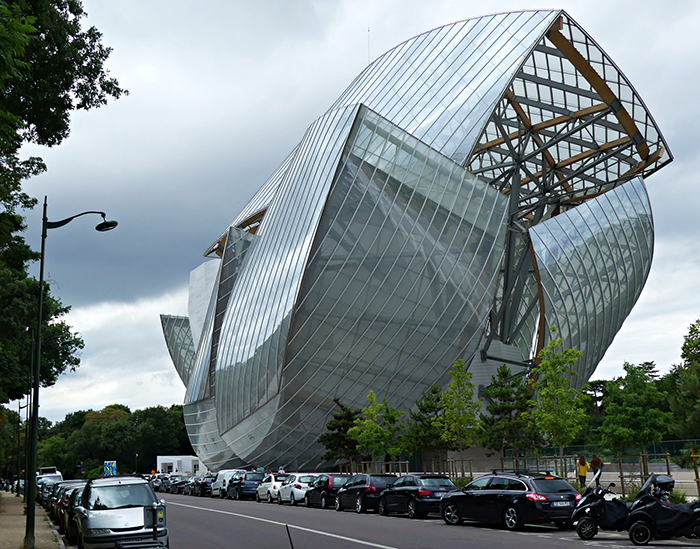 The museum, opened in 2014, is located by the Bois de Boulogne park in Paris. 19,000 concrete and 3,600 glass panels were used in the creation of the building. 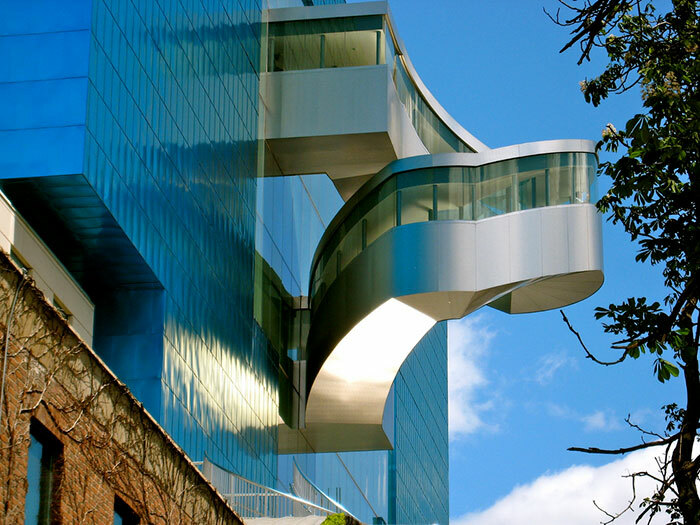 This the first time Gehry finished a project in his home city of Toronto. He was 79 at the time. 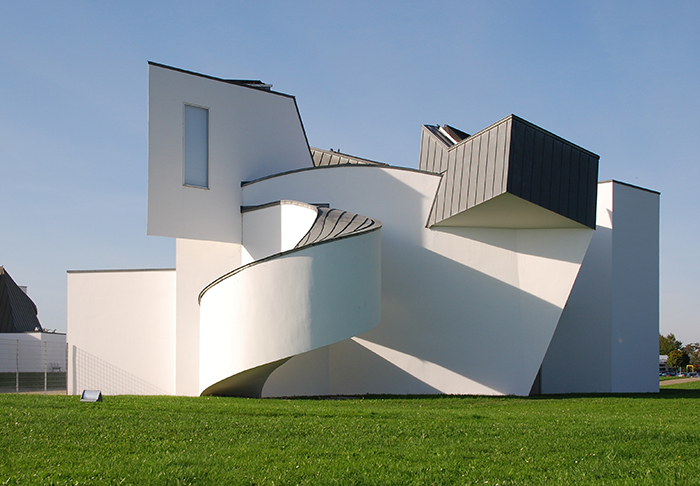 Gehry transformed this old textile factory in Germany into a piece of modern art. 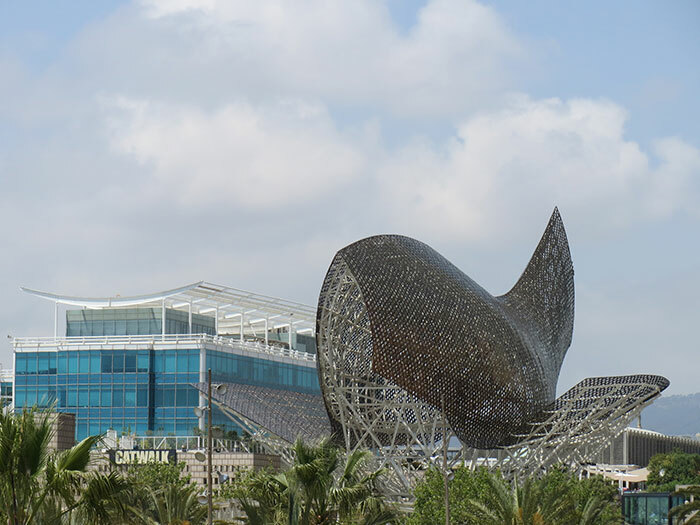 The Fish is a truly unique building, even by Gehry’s standards. It was built in 1992 for the Olympics that were held in Barcelona that year. 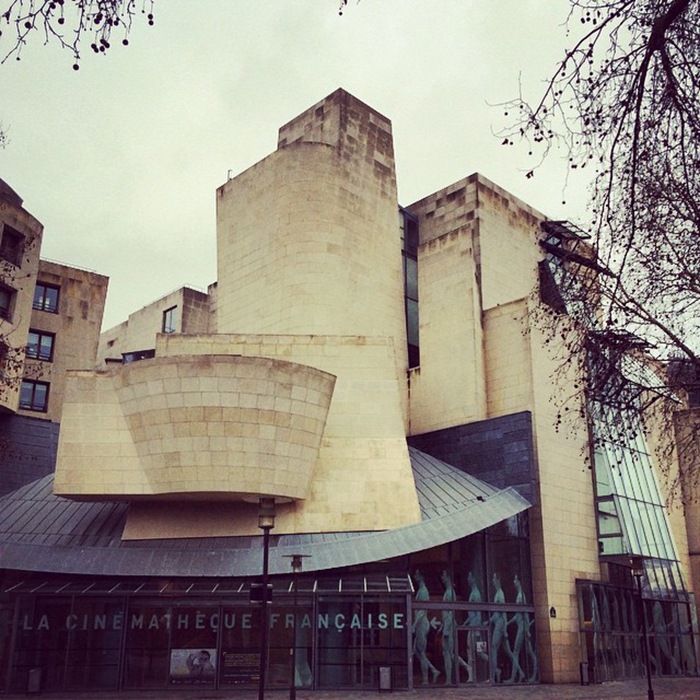 The building was completed in 1993 and contains over 25,000 pieces of art inside. 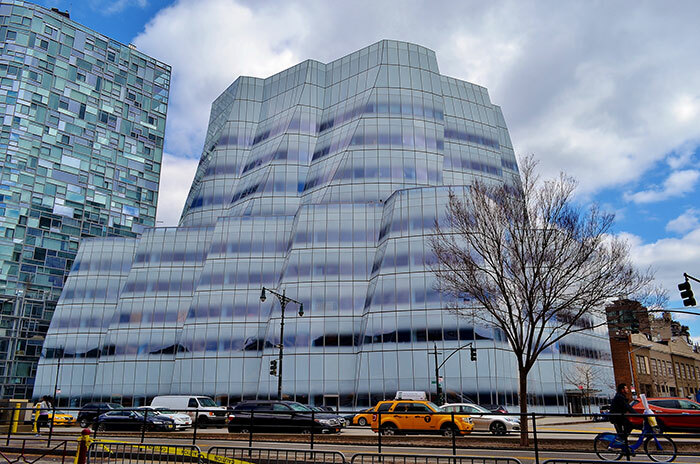 The IAC building was completed in 2007 and looks rather tame when compared to the architect’s other works. It is said to resemble the sails of a ship. 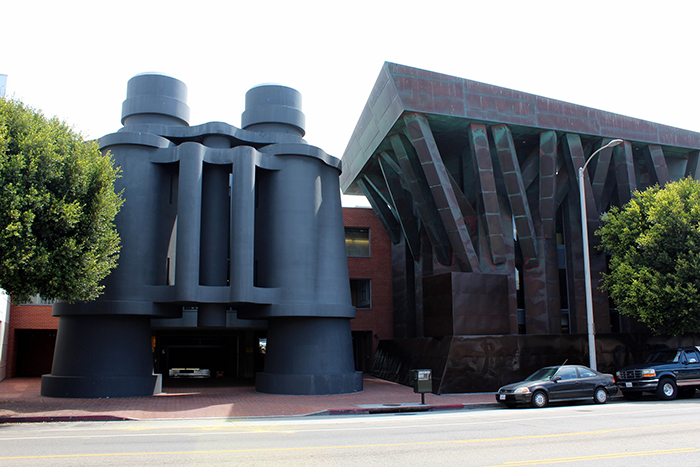 The building was originally called the Chiat/Day building but you have to admit that Binocular Building suits it way better. The building, named after a philanthropist and CEO of an insurance company, houses the Weatherhead School of Management. 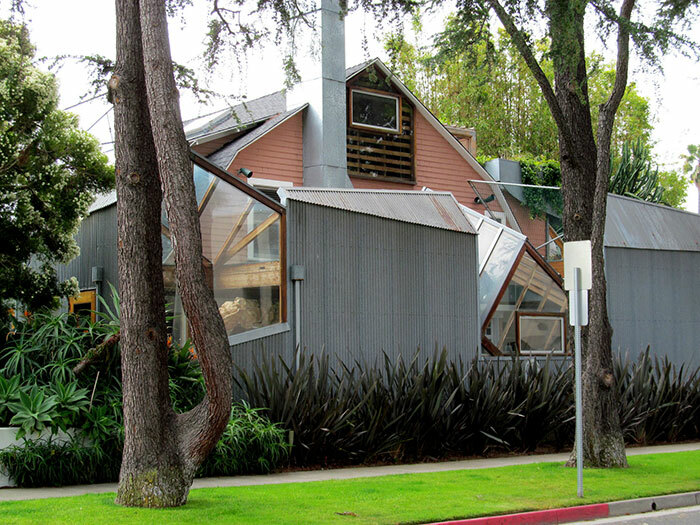 As one would expect, Frank Gehry lives in quite an eccentric house himself – the many intricate shapes and forms never fail to attract attention from both passers-by and future clients. The Richard B. Fisher Center was opened back in 2003 and since then has been described as “the best small concert hall in the United States”. Just don’t be deceived by the outside – on the inside, the building contains two theaters and several rehearsal studios. 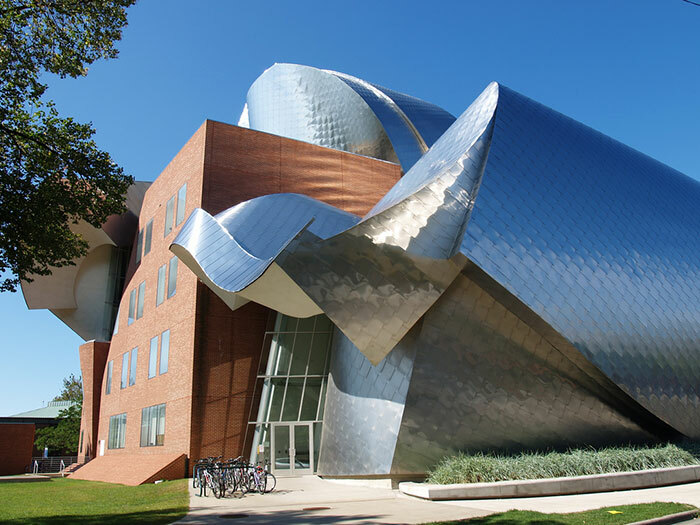 This building, designed by Frank Gehry, contains one of the largest collections of movie-related objects in the world.